Carter's Black Kangaroo is the classiest boot you will ever own. This 13″ boot is extremely supple and very durable. It has a combo heel, medium round toe and full leather sole. The silver and blue stitching on the upper make this a very dressy boot. You may even want to wear them with your pants tucked in. We carry this boot in a “D” width. If you don't see your size or width, give our customer service a call. Carter’s Black Kangaroo is the classiest boot you will ever own. This 13″ boot is extremely supple and very durable. It has a combo heel, medium round toe and full leather sole. 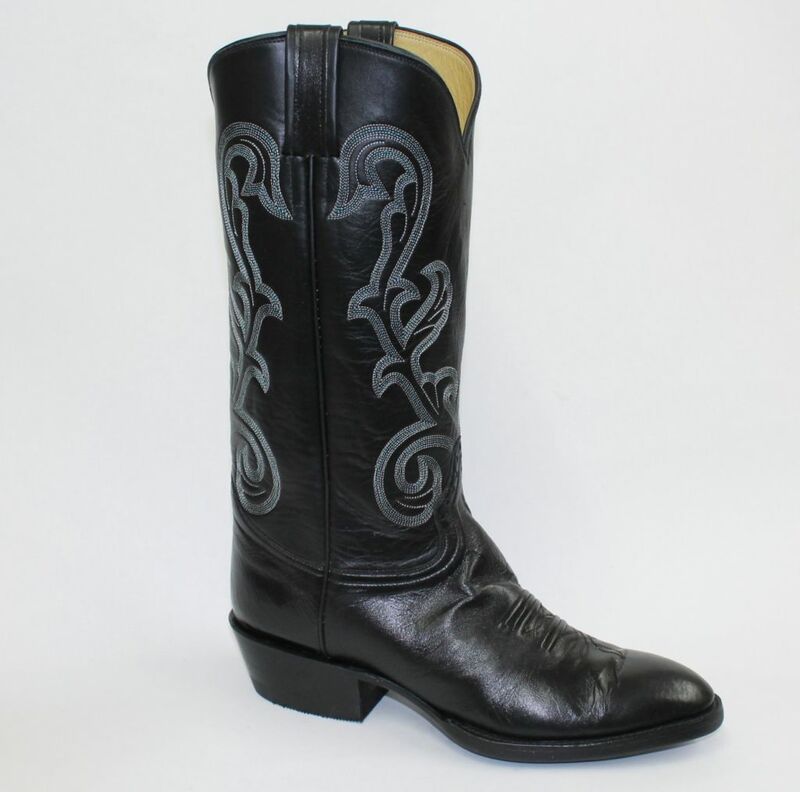 The silver and blue stitching on the upper make this a very dressy boot. You may even want to wear them with your pants tucked in. We carry this boot in a “D” width. If you don’t see your size or width, give our customer service a call.